Obituary – Rolling, Leroy Joseph « Perry High School Alumni Association, Inc.
and nephews but all those other friends and acquaintances whose paths crossed his life. Leroy Rolling was such a person. The world is a better place because of him. Leroy Joseph Rolling was born on December 28, 1938 into the Nicholas Arthur and Mary Frances (Wagner) Rolling family who lived on a farm near the town of Perry, Oklahoma. He lost his mother at the young age of 5. At the age of 14, he was stricken by polio and was hospitalized at St. Mary’s Hospital in Enid, Oklahoma. He survived that onslaught of paralysis with his life but lost strength in his dominant right arm and left leg. With the use of a leg brace and a cane, he learned to walk again. He also became a leftie in his own right. Leroy did not allow for polio to overcome his spirit. He gave up his dream of living on the farm and goals were refocused. For Leroy to attend high school, his father moved his family into town across the street from St. Rose of Lima Catholic Church. After graduation from Perry High School, Leroy was enrolled in the Enid Business School and became an accountant. 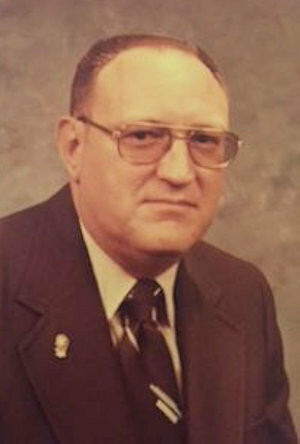 Leroy expressed much gratitude to the late Edwin Malzahn for giving him the chance to prove himself in the accounting department at Charles Machine Works Inc., more commonly known as Ditch Witch. Leroy worked for Ditch Witch until his retirement in the early 80’s. He earned the nicknames of Tightwad and Scrooge, which he proudly shared as a sign of his skill in the accounting world to run a tight ship. While Leroy was very devoted to his employer, he also became active as a Perry Lions Club member. Recently the club recognized him as one of the members of 50 years or greater. In his earlier years he had attended several national and international conventions as a representative of the Perry Lions Club. Leroy participated actively at the Easter Egg Hunt handing out the prizes. Great things for the community were done by the Perry Lions Club. Leroy was also devoted to the town of Perry. He had several businesses in the town of Perry. He owned and managed rent houses and apartments; many times, he rented to those who struggled to provide adequate housing for families. At one time he owned a mini-golf course in town to be sure the kids had a safe activity. He even fulfilled his dream of having a farm with ponds. While preparing for retirement from Ditch Witch, he purchased a paint and flooring store that also sold gifts. LJR Enterprises was born. His pastime was providing a service to meet the needs of his fellow Perryans. The list of activities and community organizations that he participated in is endless. He was a long standing member of St. Rose of Lima Catholic Church, Perry Lions Club and Perry Elks Lodge. He served as treasurer for many years of the St. Rose of Lima Catholic Church, the Catholic Cemetery Board, and the Perry Alumni Association. He also served on the Perry Hospital Authority Board, the Perry Municipal Hospital Foundation Board, the YMCA board, the chamber of commerce, Main Street committee, the Perry Kids Organization, the Perry City Council, and as mayor of the city of Perry. He contributed to numerous campaigns to promote the town of Perry. He preferred to remain in the background quietly going about his work. He had the respect of many citizens of Perry. He thoroughly enjoyed being a representative of Perry. In 2014, he was honored as the grand marshal of the Cherokee Strip Celebration parade. He was an inaugural member of the Perry Honor Roll by the Alumni Association that celebrates the impact on the lives of others in your community while overcoming hardships. He was given special recognition at the 2014 alumni banquet for all the work he had done on behalf of the Association. Leroy supported the school system. He was “a self-proclaimed sucker” for any kids trying to raise money to better themselves. He bought numerous tickets to events, sponsored events, and supported scholarships to help kids attain educational goals. He was a diehard Sooner fan, attending many football games with friends. When the Thunder came to OKC, he became a Thunder fan and enjoyed watching on television, even staying up late. Leroy was a quiet man, giving thought to decisions before action. He was a man of few words but when he did speak it was on target. His mind was sharp and impressive especially with numbers. He honed those skills and did not mind others saying “he was a numbers man”. His family will never lose sight of the gifts that he has shared: a great sense of humor, that little smirk that he would cast when he was tickled, the examples of never giving up and “where there is a will, there is a way”. He set the bar high and gave support to help obtain the goal. Seeing what he overcame and how he approached his life pushed one to be better at whatever path was chosen. Complaining is not something that was ever heard from him – it was not an option. What a gift to celebrate his life. What a legacy he leaves to be carried on. Family lives are forever touched. The story of Uncle Leroy will live on, to be shared with countless generations. Christmas Eve will always hold a special memory of gathering at his house for both Christmas and to celebrate his birthday. The community of Perry has lost one of the best. His heart was not happy unless he was in Perry. Hospital stays became torture; he would want to go home. Home was “as long as I am in Perry”. The community of Perry is a better place because of the actions of Leroy Rolling. Both his family and community have been forever touched by his spirit and made stronger. Leroy journeyed valiantly on his fight with cancer and left our world on December 16, 2016. 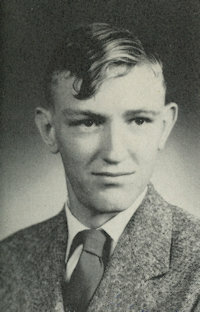 He was preceded in death by his parents; his siblings and spouses: Josephine Rolling Beckham, Glen Dale Beckham, Emil N Rolling, Anna Francis (Fran) Rolling Skalenda, William Ronald Skalenda, Clarence A Rolling, Norma Ross Rolling, and infant brother Nick Rolling; nephew Marvin Nicholas (Nick) Beckham; and niece Michelle Rolling. Leroy is survived by sister Dorothy Rolling Chrz and husband Frank Chrz Jr., sister Mary Ann Rolling Coppage and husband Berry Coppage; sister in law Carolyn Tearney Rolling; nieces and nephews: Maria Avers and husband Tracy, Mark Rolling and wife Carole, Chuck Rolling, Dana Jackson and husband Keith, Lisa Coleman and husband Jerry; Mary Atma and husband Mike, Donna Chrz McClain and husband Larry, Toni Chrz Vargas and husband Chris, Leon Chrz and wife Liz, Bill Skalenda and wife Paula, Kevin Skalenda and wife Kendra, Laurie Skalenda, Robbie Skalenda, Rona Coleman and husband David, Julie Chavarria and husband Bubba, Tim Rolling, Cynthia Rolling, Sharon Rolling, and Susan Rolling, John Coppage and wife Janet, Malinna Freeman, and Carla Gerlach and husband Doug; and numerous cousins, great nieces and nephews and great-great nieces and nephews. Perry High School Alumni Association, St. Rose of Lima Catholic Church Building Fund, Perry Education Foundation, Perry YMCA, Perry Memorial Hospital Foundation, Oklahoma Lions Service Foundation, or Archdiocese of Oklahoma City. Visitation will be at the Brown-Dugger Funeral Home in Perry on Tuesday, December 20,2016 from 9 a.m. to 5 p.m. Rosary will be held at St. Rose of Lima Catholic Church in Perry at 7:00 p.m. on Tuesday, December 20, 2016. Family will receive guests after the rosary service at the church. Mass of Christian Burial will be held at St. Rose of Lima Catholic Church in Perry on Wednesday, December 21, 2016 at 2:00 p.m. with internment at the Catholic Cemetery in Perry, Oklahoma.